DUBAI (Reuters) - Saudi Arabia plans to regulate local companies that screen shows on YouTube, a senior official was quoted as saying in local media on Tuesday - a move that could stifle its nascent creative industries. The kingdom is the world's top per capita user of YouTube. Dissatisfaction over state broadcasters' staid programming and societal restrictions have created a uniquely captive audience for web-based entertainment, in a country where nearly half the population is under 25. 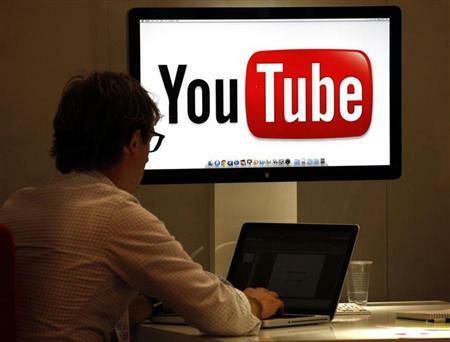 But YouTube's popularity has now brought Saudi Arabia's homegrown production houses under the gaze of the General Authority for Audiovisual Media, a recently formed watchdog. Riyadh Najm, the Authority's president, told the pan-Arab newspaper Asharq al-Awsat that his organization would soon issue a manifesto to organize - or regulate - the work of YouTube channels. It will include rules and conditions that would be "in accordance with the nature of society and … laws in this context", Najm said. "We are working on embracing these talents and developing their artistic and technical abilities." Licensing would help guarantee quality, he said. This follows a new Saudi law that defines terrorist crimes as any act that "disturbs public order, shakes the security of society, or subjects its national unity to danger, or obstructs the primary system of rule or harms the reputation of the state". Such a broad definition reflects Saudi rulers' unease since the 2011 Arab uprisings. The authorities have taken a far harsher line against many forms of dissent, jailing liberal reformers and religious critics on charges ranging from sedition to jeopardizing state security. YouTube program makers in Saudi had been able to operate without a license because they were not actual broadcasters, with the likes of UTURN Entertainment and C3 combined attracting more than 500 million views for their various YouTube shows as of mid-September 2013. These production houses have been careful to avoid controversy, with subtle satire often the preferred means to critique authority. "Until we see the details, it's a bit alarming, a threat for us," said Kaswara al-Khatib, chairman and chief executive of UTURN Entertainment. "You don't want to be controlled because the whole idea is that we want to express ourselves." Khatib said he had previously discussed the matter with Najm, who told him UTURN's current output would not be prohibited, but that the sector could no longer be unregulated. "The whole idea is to regulate it in a way to make sure where the areas are to be played with and the areas that should not be touched," said Khatib. "He seems to be supportive and understands it's not conventional media and that online is a totally different ballgame."